Glow in the Dark Powder TAT 33 - how to choose the right glow powder. Luminescent pigment TAT 33 advantages. Every day we get a lot of messages from the people that already had a bad experience of using the third-party glow components. They want us to tell them why our Glow in the Dark Powder TAT 33 is better. We are always happy to answer such questions because our company is absolutely confident about the quality of the luminescent pigment TAT 33. 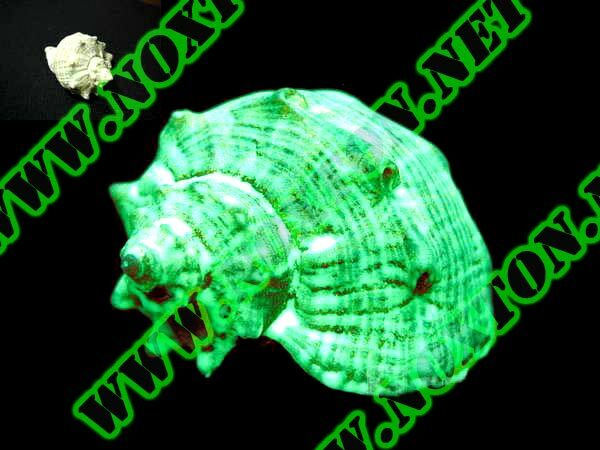 You can check out the main advantages of our Glow in the Dark Powder TAT 33 below. This info will be also useful for those who stands at a crossroads and didn't make a final decision about the purchase yet. 1. 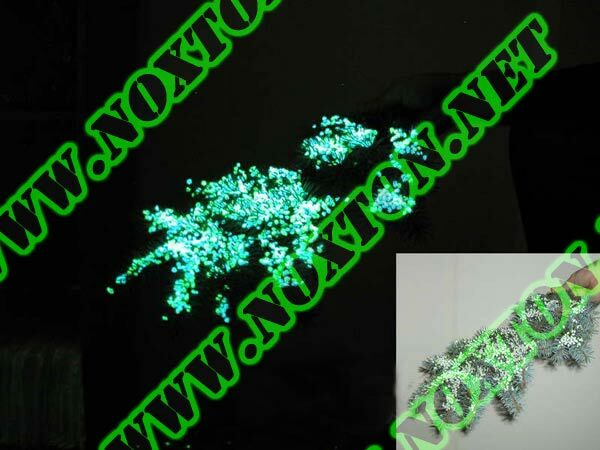 Glow in the Dark Powder TAT 33 glows brighter than other luminescent materials of the class called - photoluminophores. The peak glow brightness exceeds 30 cd/m2 (candelas per square meter) or 30 000 mcd/m2 (millicandelas per square meter), while the fractions are very small. This was made possible by the advanced technology of glow powder production and by the optimal combination of glow activators and basic components. Considerable role is played by the purity of all the constituents that, in this case, corresponds to HPS level - highly purified substances. Photoluminophore TAT 33 is often used for artificial illumination in different circumstances. 2. Glow powder TAT 33 glows longer than its "analogs". Luminescent pigment TAT 33 glows for 12 hours. 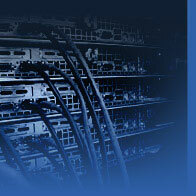 We never speculate on our product's performance or present the non-existing indicators. As of today, there are no glow powders in the World that can glow for a longer period of time. Light-accumulative pigment TAT 33 glows better during the first hours of light output. Glow intensity after 12 hours of continuous glow will be lower than it was a few hours ago. 3. Glow in the Dark Powder TAT 33 has a small size of fractions. - with 60 microns particles. - with 30 microns particles. Different fraction sizes have about the same level of glow intensity. We've managed to create a glow powder that has small fractions, perfect glow performance and duration at the same time. We believe this is what makes "glow powder quality". A common question: "Why don't you produce the glow powder that will have bigger or smaller fractions, not just 30, 60 or 80 microns?" The answer is simple. Production of the glow powder that would have smaller fractions, like 10-20 microns, won't have such a practical value as the powder with 60 microns particles. Glow intensity would be too low in this case. There is even less sense in producing the glow powder that would have the dispersity of more than 90 microns. In this case we get an overrun of the glow powder. For example, if you have a kilogram of the Glow in the Dark Powder that has 60 microns fractions - you can paint up to 30% more area than when using the third-party luminescent pigment with 100 microns particles. While the glow intensity and duration of the photoluminophore TAT 33 will be still higher. 4. Glow in the Dark Powder TAT 33 is not hydrophobic (water resistant). It is one of the most important indicators of the glow powder quality. Why does it matter that much? The thing is that hydrophobic glow powder will be in contact with water from time to time so it will cease to glow after a year at the best. Luminescent pigment's TAT 33 service life is 200 years. Its ability to glow won't be lost with years. That means, Glow in the Dark Powder TAT 33 will be glowing with the same intensity after a 100 years of being applied as in the beginning. Unfortunately, this is unreachable for a hydrophobic powder that loses its ability to glow brightly after a short time of use. Some sellers of Chinese, non-existent Dutch glow powder recommend to apply a protective varnish layer over the paint. They believe it protects the photoluminophore from contacting the water or moisture. In fact, all the varnishes are vapor permeable. This is necessary to make the surface constantly "breathe". The moisture will still kill the glow of the luminescent pigment in result. There is also another important aspect of powder's hydrophobicity. Not water resistant glow powder forms toxic to human's health strontium oxides when exposed to moisture. Such a phosphorescent pigment is strictly forbidden to be used indoors, to apply to the human's body or use it at home. It was really weird to hear that this kind of glow powder had been used to paint the walls in some children's rooms. It is even stranger that the sellers didn't not warn the buyer about the restrictions of using such a glowing material. Photoluminophore TAT 33 is versatile - it can be mixed with water-soluble varnishes or any other transparent mediums. 5. Luminescent pigment TAT 33 is homogenous. That means that more than 90 % of all the particles have one of the next fraction size: 30 microns, 60 microns or microns. The remaining 10% are the particles which fraction sizes vary from 0 microns to 90 microns. This number means that Glow in the Dark Powder TAT 33 provides the perfect coverage rate. Considering the small powder fraction size, glow powder TAT 33 is used extremely effectively. No wonder that you can paint the whole area of 1 sq.m. with just 30 grams of TAT 33 powder, while getting the best glow intensity and duration. 6. We are the producers of Glow in the Dark Powder TAT 33. 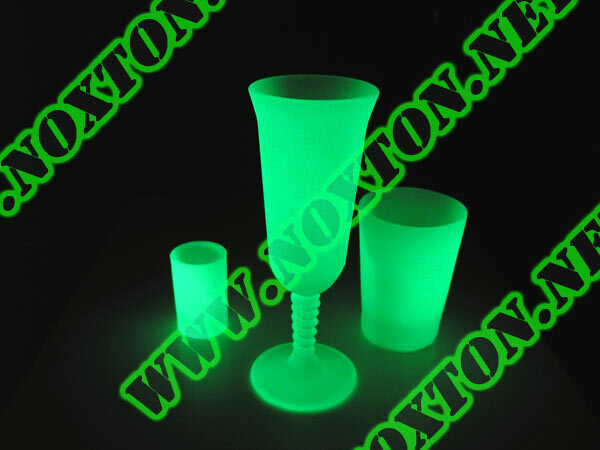 It was a difficult and long path for our company, we've started from using a regular luminescent and now we produce the glowing material of the highest quality. During these years we have thoroughly studied all the features of the light-accumulative pigment TAT 33, its properties and the luminescence peculiarities. This allows us to find more effective ways to use the Glow in the dark Powder TAT 33 and provide a customer with the information he needs. At Noxton Company you can make an order for 100 g of the glow powder TAT 33 or for 500 kgs if you want to. We will treat all of your desires equally. 90% of all the products on today's market are being imported from the other countries, like: China, Holland (in fact it comes from China), Japan and others. We are continuously monitoring the market and sometimes getting really surprised when we find out that glow powders brought by intermediaries are actually toxic and not harmless to human's health. We recommend you to read our article: Glow powder directly from the manufacturer - what does it mean? We also ensure the high quality of our luminescent pigment TAT 33. 7. We have all the documents on Glow in the Dark Powder TAT 33. It is the most speculative thing. The point is that most of the sellers or intermediaries either have no permits or simply forge them (they zap or make unreadable the info about the supplier and the country glow powder comes from). Sanitary authority statement - is an essential document that you need to start a glow powder selling business. It can't be substituted with any other certificate or material safety data sheet. We have a full set of documents on luminescent pigment TAT 33 which allows using it in CIS countries, Europe, USA, etc. This is a guarantee of your health's and product's safety. 8. 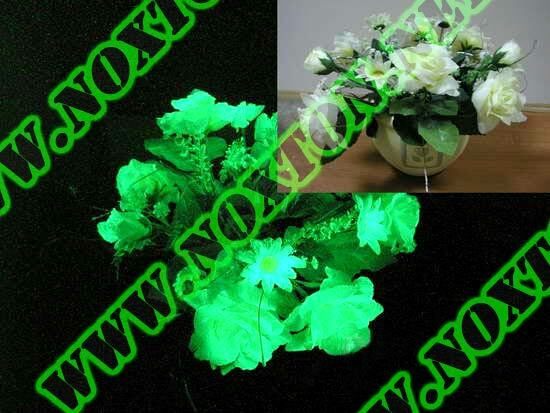 We help our customers to use Glow in the Dark Powder TAT 33 correctly - Customer Service. With years of working this field we have gained a wealth of experience in using the photoluminophore TAT 33. We provide a detailed instruction on how to use the luminescent pigment, give recommendations for equipment and terms of surface painting on every sale. Now we can safely say that you can make any object a glowing one. 9. As of today Glow in the Dark Powder TAT 33 has the best "price/quality" ratio. The set of indicators ("glow intensity/glow duration/fraction size/water resistance/price") makes our Glow in the Dark Powder TAT 33 an absolutely unique one. We've never seen a glow powder that would've had all of the above characteristics at the same time. That's why our light-accumulative powder TAT 33 is very popular with industrial enterprises, small and medium businesses and common people. 10. Composition of the Glow in the Dark Powder TAT 33 is getting constantly improved and renewed. We make our best effort to be in the van of the luminescent materials market. Every new consignment of Glow in the Dark Powder TAT 33 has better glow intensity and duration, it performance gets improved. This makes our product the best one. We become able to get a perfect quality of our glowing paint for different surfaces through the constant renewal of luminescent pigment. We hope this info would help you to make the right choice and avoid disappointment. If you have any questions left, feel free to contact us - we will expand the list of advantages or make clear the ones presented in this article.